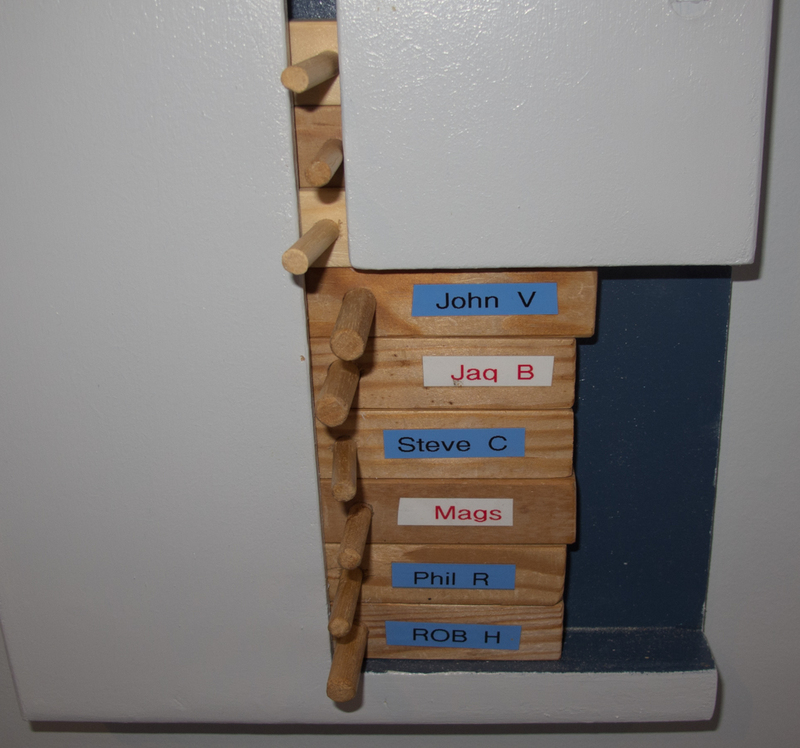 1) As you enter the clubhouse, if all the courts are in use, you will see our pegboard on the wall next to the telephone on the right, as well as a tray of wooden “pegs” with names written on them, one peg for each paid up member who participates in club sessions. 2) Find your peg, red writing for ladies and black on blue for the men, put it in the top of the pegboard and slide it down onto the top of the pegs already in the board. There are also some pegs for visitors. 3) The person who has been waiting the longest will be at the bottom of the pegboard and is responsible for selecting 3 other people from the first 6 pegs in the “window” for the next game; this person is also responsible for providing suitable balls for the game. If you are unavailable or decide not to play for any reason your peg will be put back into the top of the board. 4) Once this game moves onto court take the names out of the pegboard and put them on the window ledge next to the pegboard. Please tell the person whose name is now at the bottom that it is their turn to select players for the next game. 5) When players come off court, if they want another game, they place their peg back in the pegboard, winners first. 6) Normally there will be 5 people in the window for the person at the bottom of the box to choose from for their next game. If there are not 5 people then the people who have been waiting in the club room have priority over the players coming off court. If it is your name at the bottom of the pegboard please arrange your game straight away and tell the others involved rather than wait until a court comes free, to avoid wasting court time. Our club sessions are for social tennis, mixed doubles whenever possible, so if you come to a club session you must expect to play with whoever is in the box. 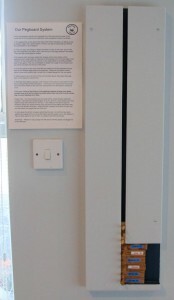 If you really do not want to play for whatever reason you should remove your peg from the box telling the person who is now at the bottom of the box. When the next 4 players have gone on court you can then place your peg at the top of the box. In most cases the bottom 4 players should be the next 4 on as they have been waiting the longest but if you are at the bottom and do bypass one or two players to make a better game for you or them, it is polite to tell the people you have skipped personally. Of course most people want to play people better than themselves to improve but that is obviously not possible all the time. The likelihood is that half your games will be with people of a lower standard which will improve their game more than yours, that is what club tennis is all about. If you want to play specific people you should arrange these games outside the club sessions. And finally – Please do not put pegs into the pegboard until the people concerned are in the clubroom.